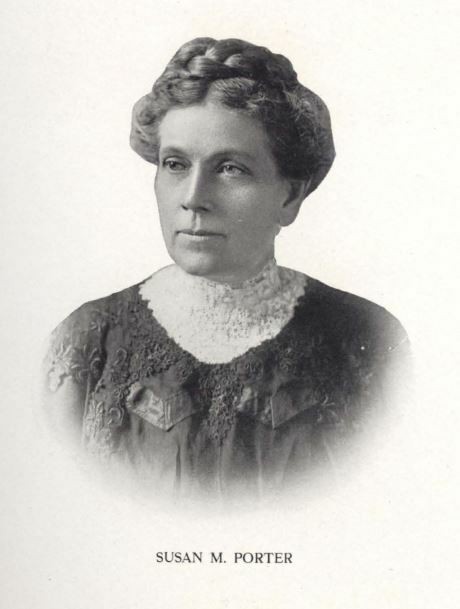 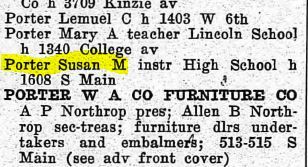 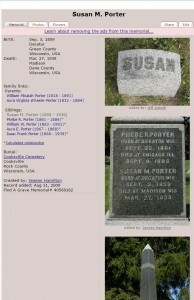 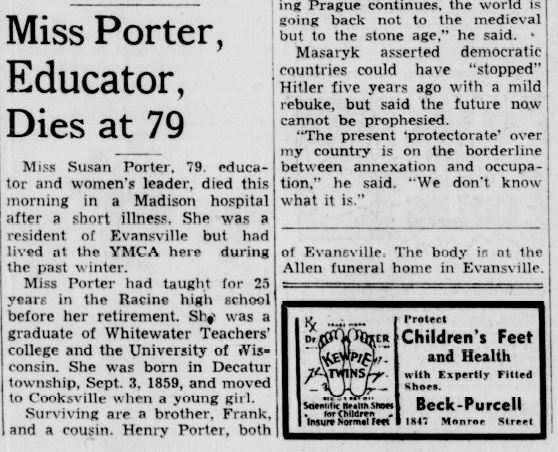 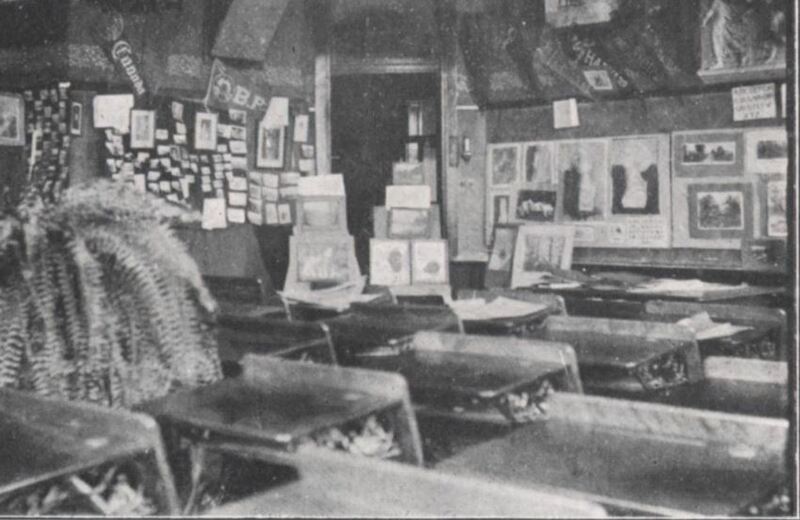 Susan M. Porter (1859-1939) taught at Racine High School for 26 years. 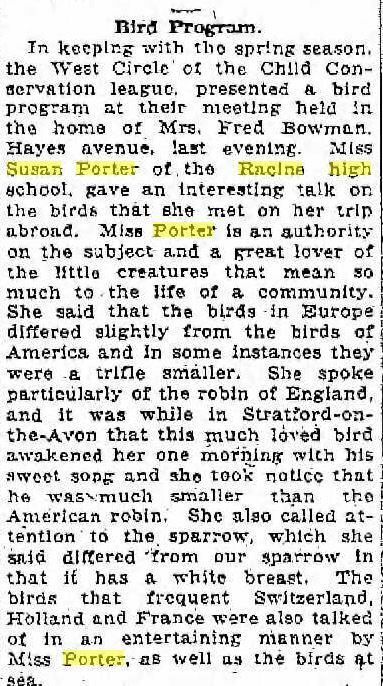 She was a much-beloved teacher, founding the Audubon Club and the Photography Club, and seemed to have an interesting life of teaching, traveling, and belonging to clubs. Susan Porter entered the Whitewater Normal School for teachers in 1877. 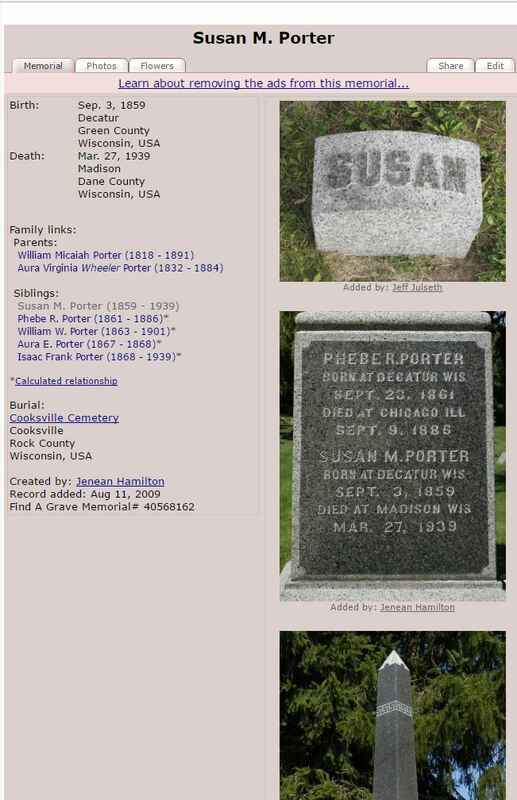 Phebe was Miss Porter’s sister who died in a hospital in Chicago in 1886. 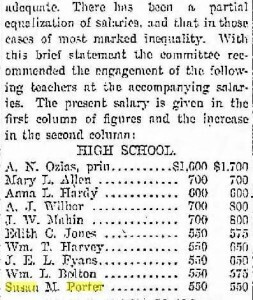 Teacher salaries including Miss Porter’s in 1898. 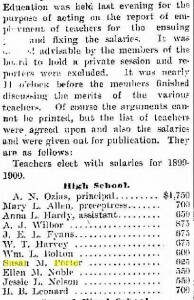 $550 in 1898 translates to $16,830 in 2016. 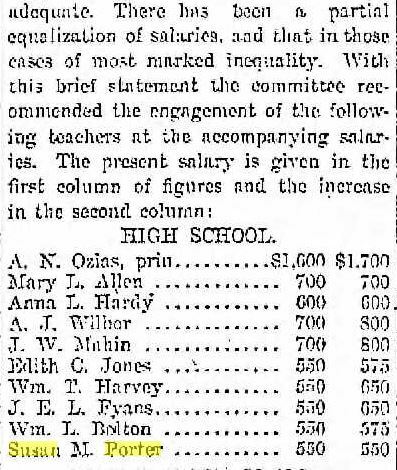 Teacher salaries including Miss Porter’s in 1899. $625 in 1899 translates to $19,120 in 2016. 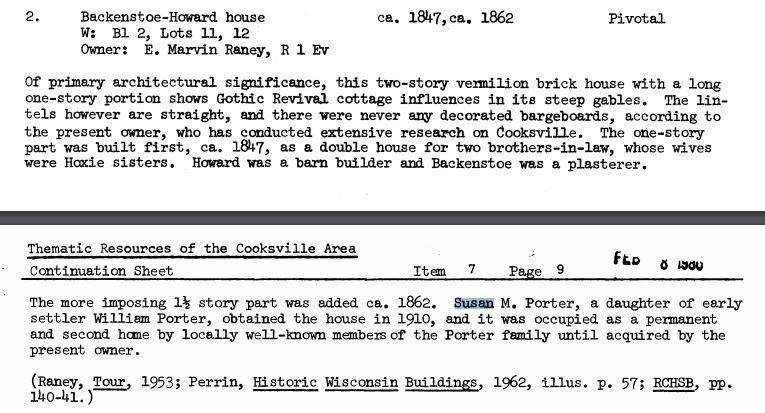 Miss Porter bought a house in Cooksville, Wis. in 1910. 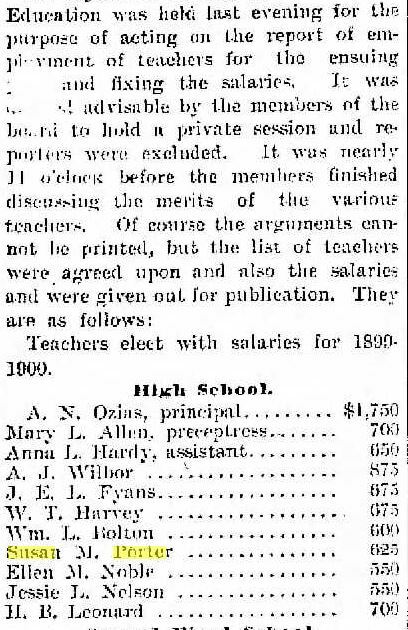 Porch party for teachers, June, 1914. 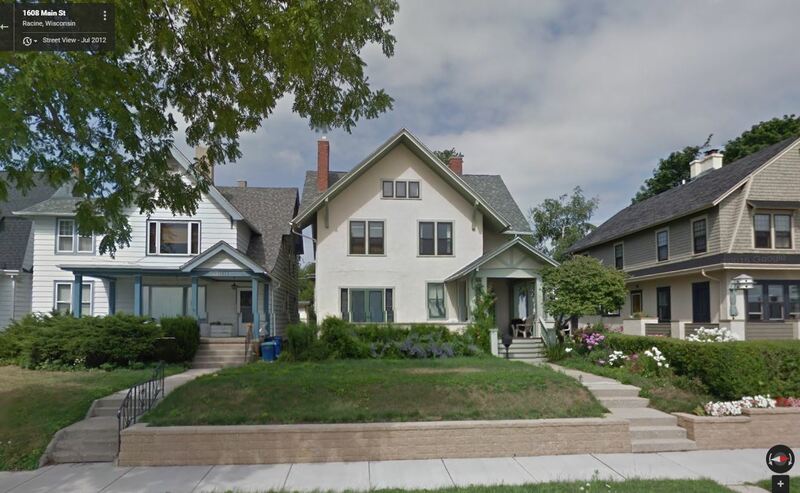 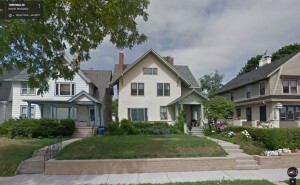 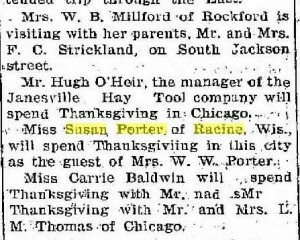 Miss Porter seems to have rented a room from the Rickemans at 1608 S. Main. 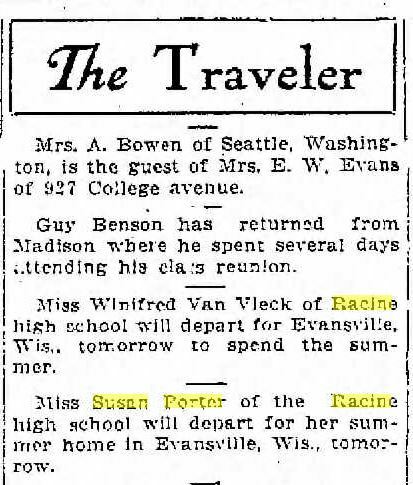 Miss Porter departs for her summer home in Evansville, June, 1914. 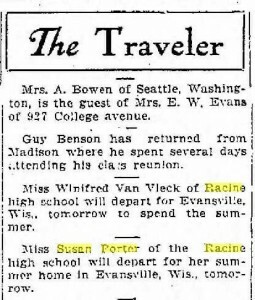 This says Evansville, but I wonder if they were referring to Cooksville. 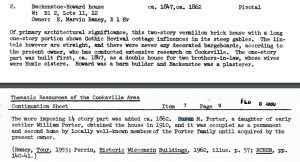 Miss Porter lived at 1608 S. Main Street with the Rickeman family. My guess is that she rented a room. 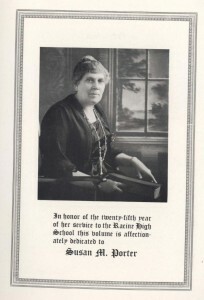 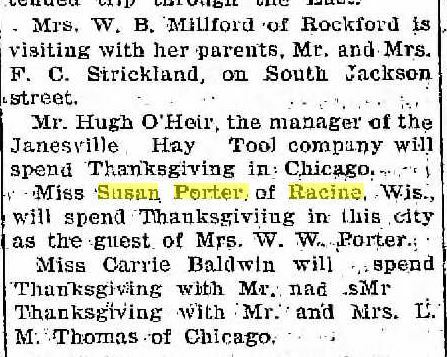 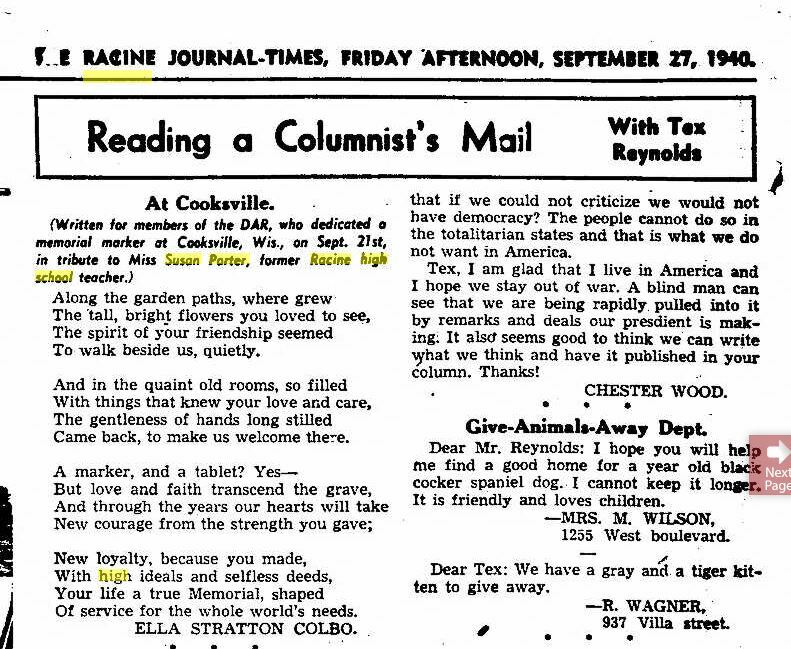 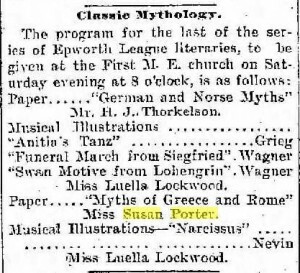 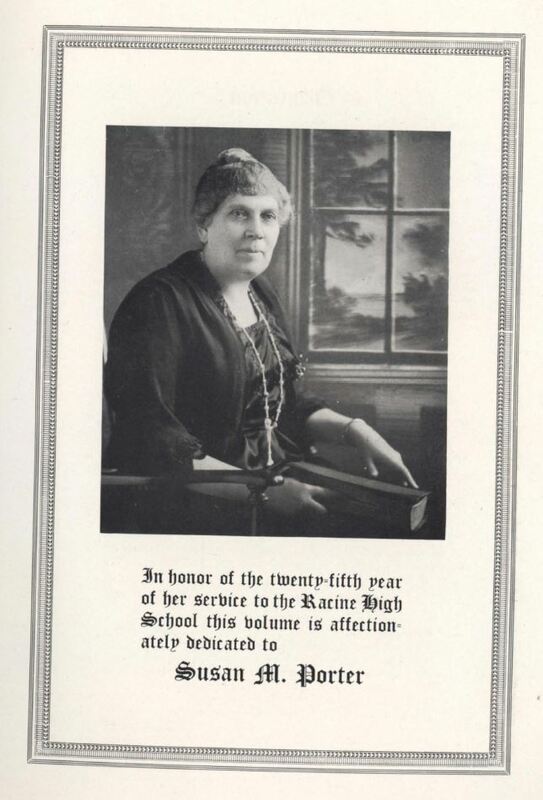 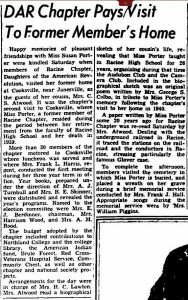 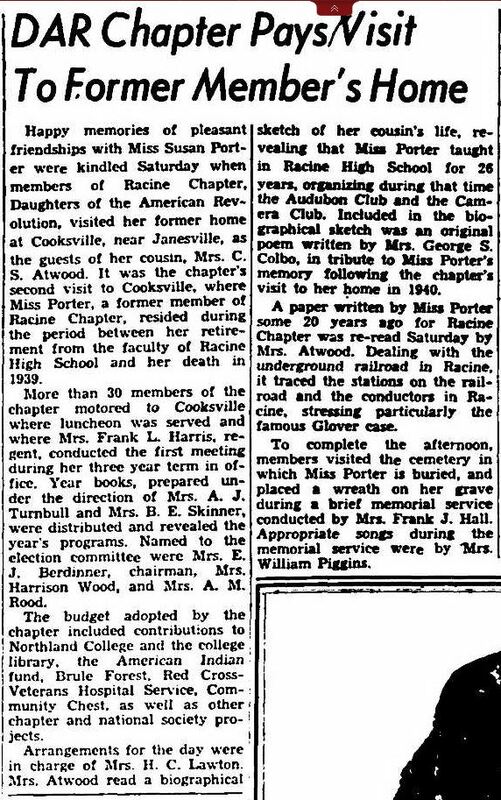 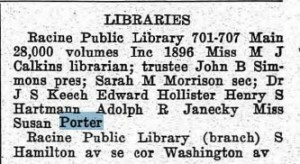 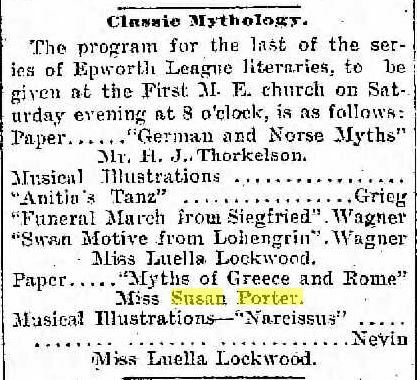 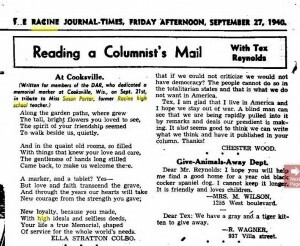 In addition to teaching, Miss Porter was also associated with the Racine Public Library in 1916. 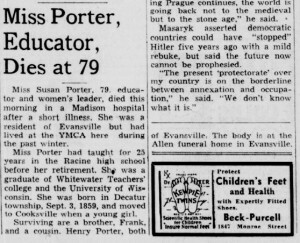 According to the 1920 Kipikawi, Miss Porter was teaching history in this year. 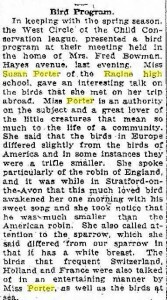 Miss Porter gave a talk on the birds she saw during her trip abroad in 1922.